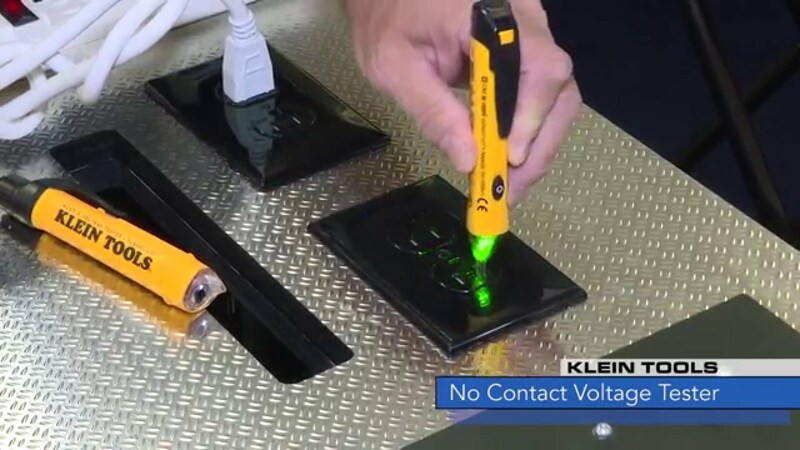 Klein Tools would like to introduce you to their latest Non-Contact Voltage Tester, the NCVT-3. Watch this edition of Watts New to see this electrical tool in action as well as compare it to an older NCVT model. The difference will be clear. Provides non-contact detection of AC voltage. Hello, my name is Gary Jost, I’m with Klein Tools. I am showing the NCVT-3, it is our latest Non-Contact Voltage Tester. One of the unique features of this tool is a flashlight or a work-light for your area so that you can see. It also has a sliding digital scale so that you can see when you are getting close to the wire you are looking for to be energized. This product is available today, is IP67 rated and has a suggested retail price around $25.00.